CostGuard® utilizes the Advantage SQL Database for all its data management. Advantage is a leading supplier of SQL databases, and is now a subsidiary of Sybase Incorporated. Advantage Database Server is a robust, high-performance and fully scalable database system that is the backbone for CostGuard and other leading business applications. 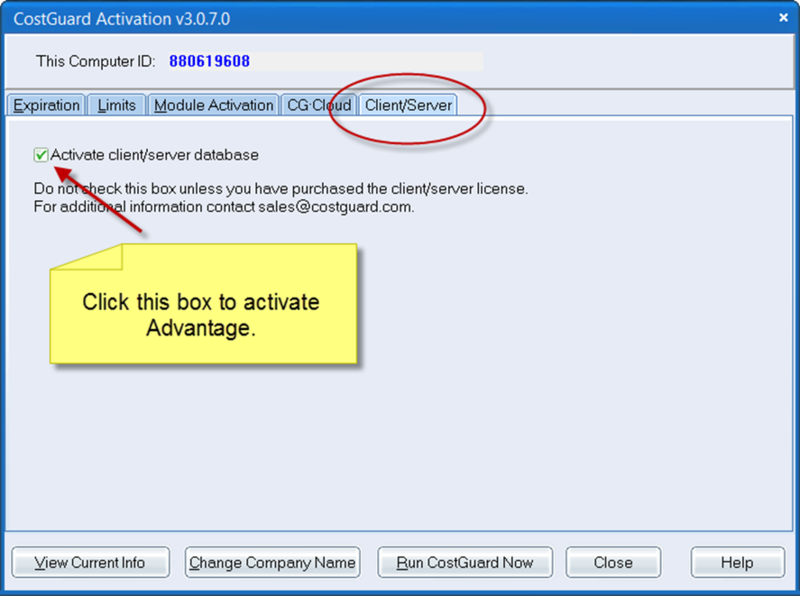 The ‘local’ server (ALS) is included with CostGuard at no additional charge. 1. Enhanced throughput, since the server will handle queries, and transmit ONLY the matching items (as opposed to sending ALL the recipes, and having the workstation do the query). You can see how much less bandwidth this would use. 2. Enhanced data protection, since there is ‘transaction processing’, which allows for an automatic rollback if there’s a problem, e.g., a count that gets an error message. 3. Using Terminal Services? You will need to purchase the Advantage Database Remote Server in order to use CostGuard in a Terminal Services environment. Licensing is based on CONCURRENT usage; this is different than CostGuard networking licensing, which is based on workstation use. This is a one-time fee. There may be upgrades to Advantage that are required; those costs (which are reasonable) are separate from any other CostGuard support costs. We provide the first level support. Second level support is with the Advantage support forum (free for end users); third level direct with Advantage, also free for end users. No update to CostGuard is required; no data conversion is needed. It’s really a very seamless enhancement that runs as a background service. Please get in touch with your specific needs. International and Linux licenses are also available. Please let us know and we will give you a code for the trial.